If we look around the Globe we may see many kinds of specialties, icons, views almost in every Country. Countries like Malaysia, Singapore having many sorts of joy able and interesting views. Singapore a Country which is now forming as the country of beautiful skylines and skyscrapers. Singapore currently having more than 50 skyscrapers which are above 140 meters in their heights. A few of them have become icons of Singapore which are known all over the world. The buildings of this country are usually recognized for the history and architecture. If you`re a business man and you are nervous about how to start a company in Singapore, then check out the facts and figure of the buildings which could help you in starting and building your own empire. 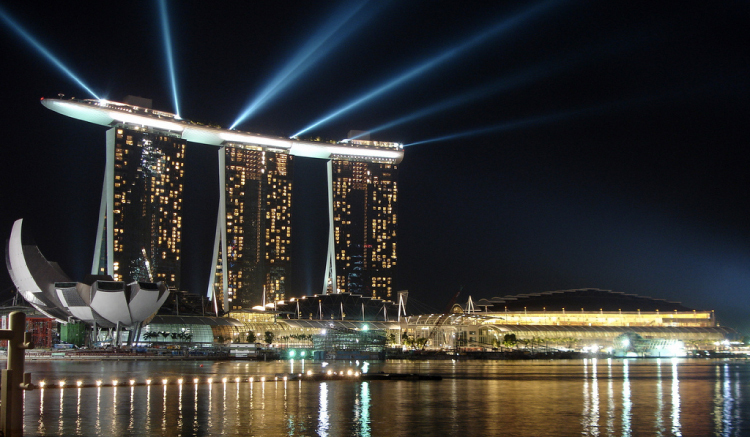 MARINA BAY SANDS: Marina Bay is a resort in Singapore, which is operational from last 7 years. This resort property is having a very expensive standalone casino which is of almost around $8 BILLION. The resort is total of 120,000 sq. meters and 1,300,000 sq. ft. There are many shops in this resort like museum, theatres, restaurants, skating rink, floating crystal pavilions and the world`s most expensive largest casino with 1,600 slot machines and more than 450 tables in it. RAFFLES PLACE: Raffles place which is named on Sir Stamford Raffles, who was the founder of newly developed Singapore. This hotel established in 1887. The main hotel features are a white pristine of colonial architecture, with large windows and high ceilings. Raffles hotel is also known as the popular Singapore Sling. If we talk about the history and beauty of this hotel then we can say that this hotel has won the hearts of many people which also includes some big names like Ernest Hemmingway, Alfred Hitchock and Rudyard Kipling. GOLDEN MILE COMPLEX: The building is residential as well as commercial complex which is located on the Beach Road. It is established in 1973, the total cost of the building was nearly around $18 million. The structure of the building is like a small fragment of long linear blocks which are supposed to trace the lines of coast. This complex includes entertainment services, offices, shopping and living apartments. Golden complex is also known as the Who Hup Complex. REPUBLIC PLAZA: Republic plaza is counted in one of the skyscraper building of the Singapore. This plaza is of total 276 meters in height, which contain 66 floors. Republic plaza is also known as the “Bank of Tokyo-Mitsubishi”. The building was established in 1995 by Kisho Kurokawa architecture. A very special feature of this building is that it can consolidate earthquakes even when the city is far from the zones of earthquake. PARKVIEW SQUARE: The building is located near the North Bridge road, Singapore. It is almost of 144 meters in its height. Containing 24 floors. The Parkview square is considered as the most expensive buildings in Singapore. GOLDEN CRANE a statue is built in the center of the plaza pointing towards the direction of Mainland China. With all of this information, we will wind this up on the directives which we had for you when you are exploring all of the facts of these empire, buildings of this Country. We wish you good luck and a good travel to all of these empires.